The Urban-Barry Mill is the only permitted mill in the region. 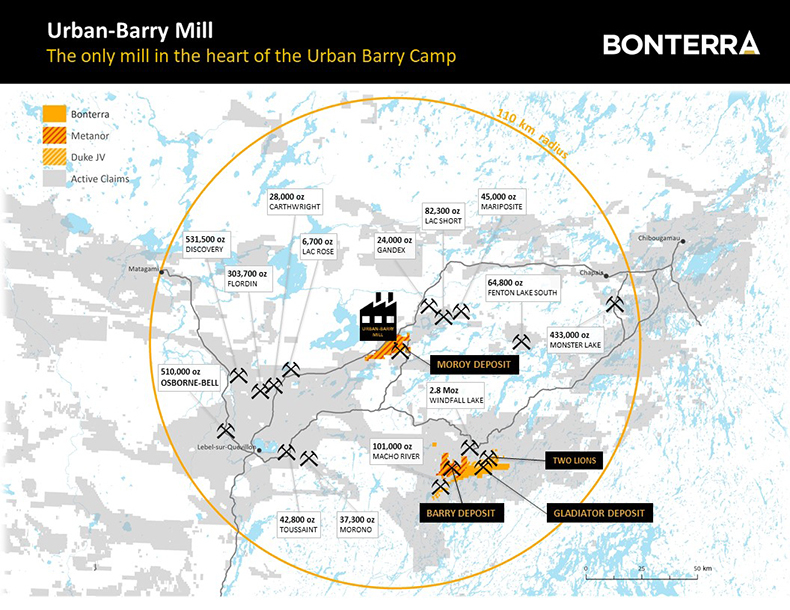 The operational mill is located in Le Sueur Township, approximately 225 km northeast of Val-d’Or, Quebec, and is accessible by provincial Highway 113 linking Val-d’Or and Chibougamau. 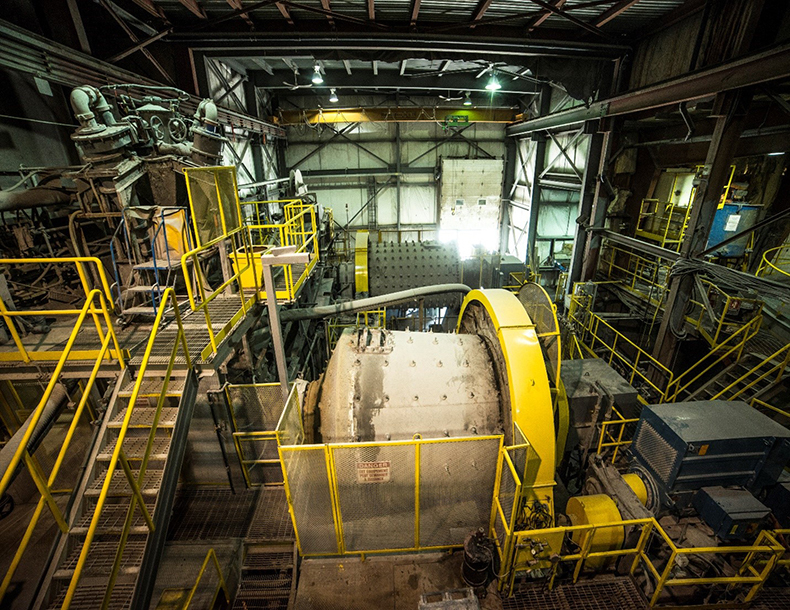 Val-d’Or and Chibougamau are full-service centres for mining and exploration activities. The mill is connected to the provincial power grid, has high-speed Internet and cell phone service with an all-season camp for workers. 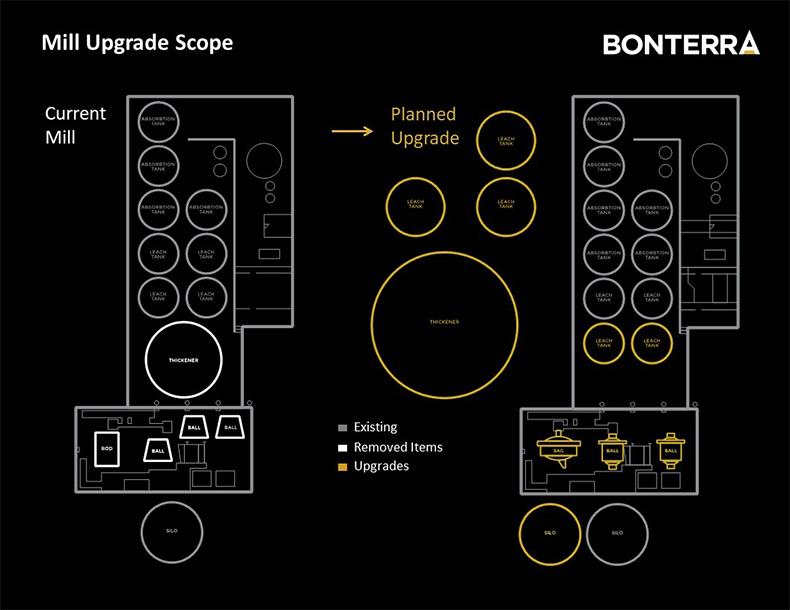 Bonterra plans to expand the existing mill to 2,400 tonnes per day by the second half of 2019. The mill upgrade includes removal of the existing rod mill, ball mills and 40’ thickener and the addition of a SAG mill, two ball mills, gravity circuit, 75’ thickener and five tanks for leaching-adsorption.